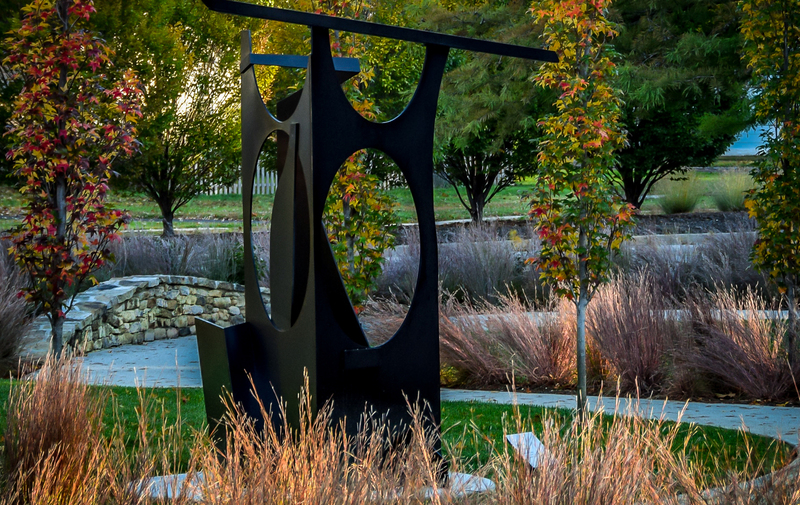 Each of the five commissioned sculptures was strategically placed within the landscape in locations that would highlight its composition. 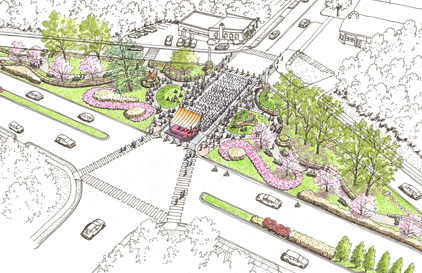 An early concept drawing of the garden envisioned opportunities for large events within the main street that bisects the property. Much of the garden and the art within it are meant to be discovered on foot, not while driving by the space.  The site lines of the design are viewed as an artistic element as well, contributing to the “hide-and-reveal” experience. 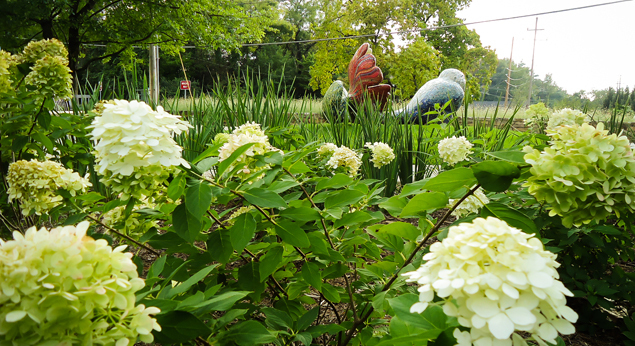 The Webster Groves Sculpture Garden has quickly become both a destination and asset for the community. 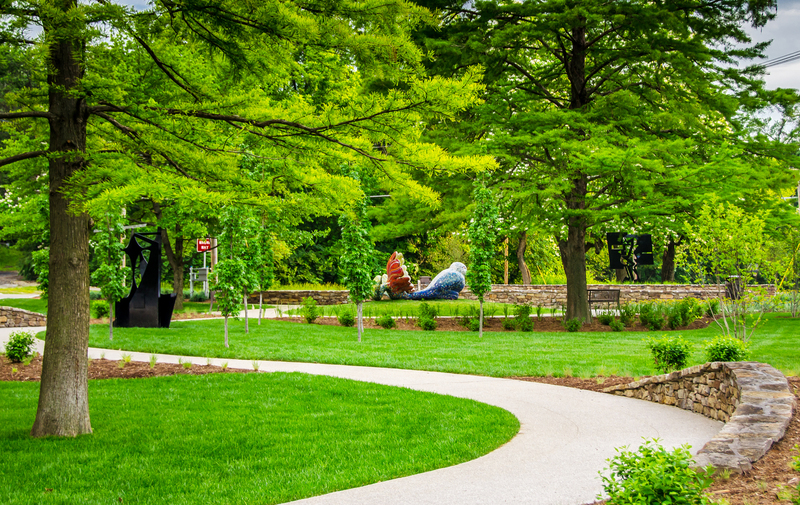 Situated within a compact, half-acre site along one of the city’s major corridors, the Webster Groves Sculpture Garden serves as a gateway for the city and provides its residents a place in which they can gather, and enjoy nature and curated works of art. 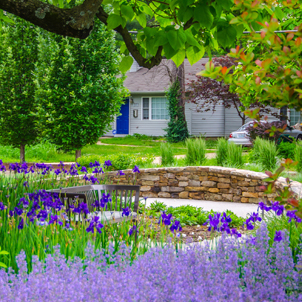 The garden contributes to and enhances the overall identity of the community, transforming what was a nondescript, underutilized open space into a composition of native weathered fieldstone walls, and bold landscape gestures that bring seasonal interest. 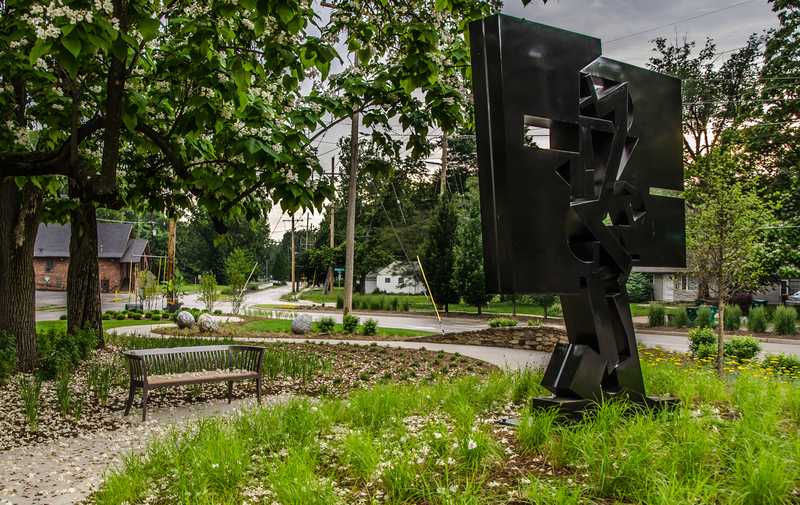 Five unique pieces of sculpture support the promotion of public art as an amenity. 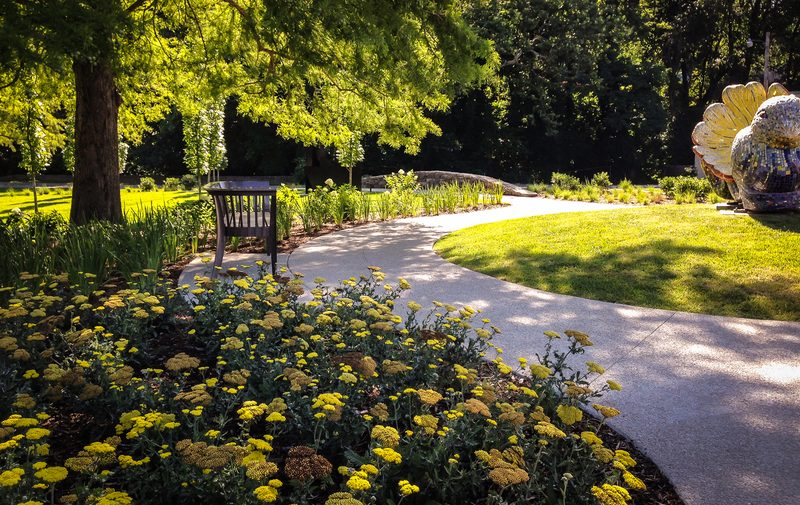 The layout of the garden is multi-faceted, allowing for both quiet reflection and opportunities to engage with a neighbor and embrace public art. 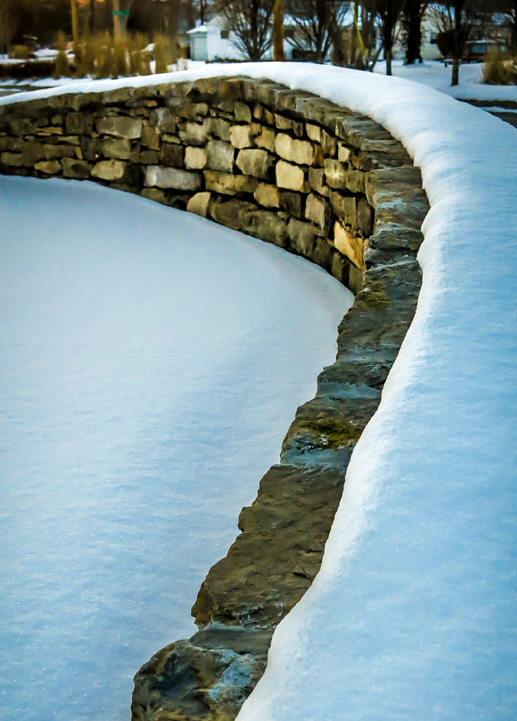 In addition to the pieces of sculpture, the layout of the garden and design elements are themselves artistic in nature – the elegant curvature of the weathered field stone walls and pathways suggest subtle lines and form. A sense of “hide-and-reveal” comes to play, giving visitors a chance to discover art in a dynamic landscape. 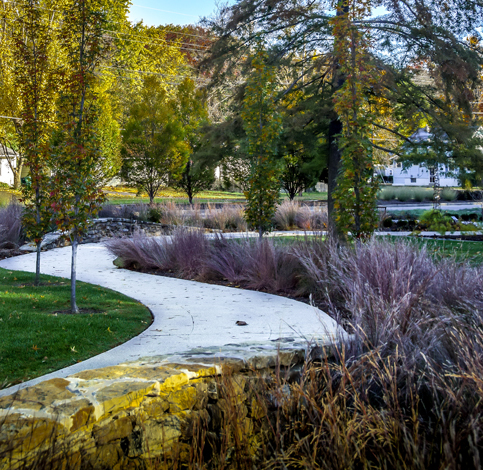 "An amenity now sits where previously land was underutilized. The existing site was a large expanse of unused right-of-way and uninviting islands. 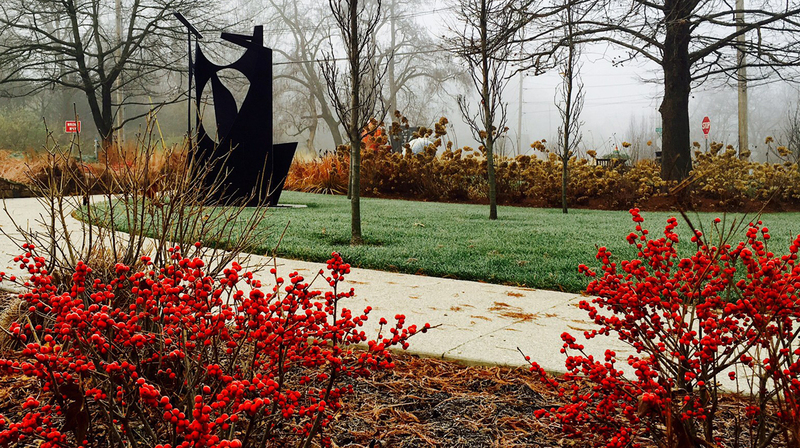 Now, the sculpture garden is a gateway for the community and a true focal point of activity."